What Did We Learn From the Final Debate? 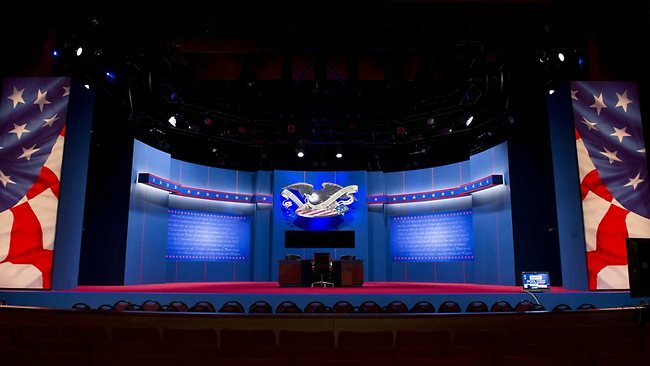 Monday night, as we all know, was the last of the three presidential debates. This debate was focused on the foreign policies of president Obama, and soon the be president Mitt Romney. So what were my opinions of the debate, who won, and what were some of the important topics brought up? First off Romney was definitely the winner of this debate. There were moments when he didn’t seem as on fire as others, but seeing the candidates side by side and listening to their answers, one thing was clear, Mitt Romney was definitely the most presidential of the two. He kept Obama on the hot seat most the debate, though he missed some great opportunities to bring to light Obama’s handling of the Benghazi attack. During most of the debate Obama seemed to be giving Romney, what most in the twitter-verse were calling “The Death Stare,” ninety percent of the time. I couldn’t tell if he was trying to listen really, really intently, or if he was just thinking that if the table wasn’t as wide I would try to punch this guy. The most memorable and best Romney moment of the night had to be when he brought up the Obama’s apology tour when he made the rounds in the middle east. He seem to be on the attack most the night, at least more than previously I thought. At one point, Romney was talking and Obama tried interrupting, Romney calmly turned to Obama and said “I’m still speaking.” It was great. This time around Obama did not do all that great, in my opinion. He definitely seemed to be in attack mode, always attacking Romney’s stance on an issue, or a statement made in the past. Other than a few times, didn’t seem to stutter as much as usual, but I honestly didn’t see the Obama of the last debate. He kept using the same talking points over and over again, in fact some of the talking points he repeated three or four times in the debate, literally word for word. He seemed a pretty arrogant when speaking to Romney, Especially when he was blasting him about the Navy and how we don’t use bayonets and horses as much in war anymore. I decided to fact check this statement this morning. When it comes to the bayonets remark I found it interesting to learn that bayonet and knife combat training is on the rise. Meaning it is something that is and will be used in the future of war. Also horse use is on the rise in the military and has always been used for things such as soldiers funerals. Another thing to mention is that we technically don’t use battle ships anymore. The last battle ship in active duty was the USS Missouri and was decommissioned in 1992. Currently there are no battle ships being used in the navy. I have read tweets from Obama supporters saying he was dumbing things down for Romney, but the way he said them showed true arrogance. Overall, I would say Obama was aggressive and constantly on the attack against Romney. He did have a little more composure than the last debate, but at times you could tell that he was mad. As I mentioned before Romney should have capitalized on the Benghazi attacks and the way the current administration handled it. This was one point that I think would have put Romney over the top, and would have brought a lot of undecided voters to his camp. He did bring it up a little bit in the last debate, but this was the one to drive that home. I think this cost him a little bit, and was the most important point to bring to undecided voters attentions. I tried to pay special attention to the moderator this time. Bob Schieffer was without a doubt the best moderator of the three debates. He seemed to stay out of the conversation except to move it along, unlike Candy Crowley. I don’t know much about him except that he host ‘Face the Nation’ on CBS, but even if he is partisan to the democrats, like most the MSM, he did a good job of hiding that last night. Their were a couple of gaffes last night, or Biden-isms as my friends and I like to call them. The best gaffe however was from Bob Schieffer when he mistakenly called Osama Bin Laden, Obama’s Bin Laden. It took a second for it to sink in and we had a good laugh at our debate party. Will the Youth Vote Be the Fall of America? The term “Youth Vote” originally described voters in the 21-30 year old age bracket and was coined in the 1930’s. During the 1970’s the voting age was then changed to 18, bringing in hundreds of thousands of voters mainly fresh out of high school. Being 28, I myself fall under this category. Naturally, democrats used this to their advantage and have been working on forming the minds of children to their liberal ideologies. Eventually, in their minds, the youth would be overwhelmingly democrat due to the brainwashing attempted in the public school systems, and it works, to some extent. The last two elections have had very high turn out from youth voters, in which the majority of that group voted for Al Gore and Barack Obama. Looking to the future, there are studies that show that in 2015 the youth vote will make up approximately 33% of all American voters. If the trend continues, that will be a major chunk of the voting population, who might end up supporting democrat candidates and ideologies. These politicians won’t have to break a sweat, or drop a dime for these votes. Democrats have been pandering to these individuals for as long as I can remember, with promises of lower to no tuition costs for college, free money for living and food, and other types of entitlements for all. It’s no wonder that they flock to democrats who just tell them what they want to hear. If you listen to the news, it seems the youth of this nation really can’t think for themselves. However, according to the New York Times, some of the youth vote, at least for the moment, is moving toward Mitt Romney and the republicans. Though he still leads by a large margin, support for Obama, between the 18-24 year old voters is half what the 25-29 year old vote is. I thought to myself why is this? Why would support for Obama being going downhill. After thinking back to the debate, and things that I’ve seen in the past four years, I came up with two theories. First off, maybe, just maybe these youth are realizing that they are not getting what they were promised and their eyes are finally opened to the lies of the left. They realize that the country is going to hell and the failed policies of the current administration are just flat out hurting America. The only other possible theory, I can think of, is that they are upset with Obama, and the democrats, and will vote for Romney out of spite. According to a poll, from Harvard, Obama is loosing support from students, not because they’re voting for Romney, but because they aren’t going to vote at all. As the race hurtles into its last weeks, the youth vote is becoming less of a lock for President Obama than it was for his first White House bid. And it’s not because young people like GOP nominee Mitt Romney any more than Obama, it’s that they just might not show up at the polls this time around. “Millennial enthusiasm is nowhere near where it was four years ago,” says Harvard Institute of Politics Director Trey Grayson. While a new Harvard poll finds that young adults trust Obama over Romney to improve their lives 55 percent to 36 percent among “likely” voters, fewer than half of 18 to 29-years-olds said they “definitely” plan to vote at all. That number is down 19 points from 2008, when 66 percent of Millennials were registered and ready to cast ballots. Romney’s youth voters are much more likely to make it out to vote in November. Sixty-five percent of his voters said they are definitely going to make it to the polls whereas just over half of Obama’s supporters were committed to casting a ballot. So it looks like, in my opinion, Obama is losing support out of spite. A small percentage are turning to Romney, most are just going to stay home. Romney on the other hand, is gaining support because of an emerging energized base of youth voters. Even though it’s not a clear-cut victory for Romney with the youth, the tides are changing. It just goes to show how important our vote is to secure a victory on either side, and republicans have not been doing enough to grab these votes. I believe that will change, republicans are not just a bunch of old, fat, white, rich guys. There is a young, diverse group of republicans rising from the midst of this great country, and they will be the future of the GOP. So will the youth vote destroy America? No, I really don’t think so. I think the destruction of America would come at the hands of a majority of the population living off government entitlements and/or a majority of the population in government employment. Both very real possibilities, but that’s a whole other topic. The Second Presidential Debate Is Over… Who Won? The debate getting a little heated. Tonight I was a little behind on the debate. Story of my life it seems. The first debate I was on a fishing trip and forgot to record it. I had to work on my house and ended up missing the VP debate, luckily I recorded that one. Tonight, however, I was invited to a debate party and got there late. It seems anytime I want to watch a presidential debate live something comes up and I have to rely on my DVR, or in this case a friends DVR. Luckily I have great friend, they paused the debate before it started and waited for me and my family to show. So I was only like twenty minutes behind. Now like I said I missed the first debate, and I still haven’t seen it, but from what I’ve read and seen in the news, it was no contest. So, in the back of my mind, I kind of hoped that this debate would be the same, although I knew it wouldn’t be. There were a lot of questions I think should have been brought up but weren’t, i.e. the Muslim Brotherhood members being invited to the White House, Muslim Brotherhood infiltration in our government, and Obama avoiding Netanyahu like the plague. I was impressed by most of Romney’s answers, though two minutes seems like a lot of time to give someone to answer simple questions, just my opinion. I say give a short well thought out answer and let Obama take up the rest of the time defending his ineptitude. By the second or third question I was tired of hearing Romney talk. Not because he wasn’t giving good answers, it just drug on and on. Obama was no different I need to add. He spent a lot of his time calling Romney a liar, two to three minutes at a time. 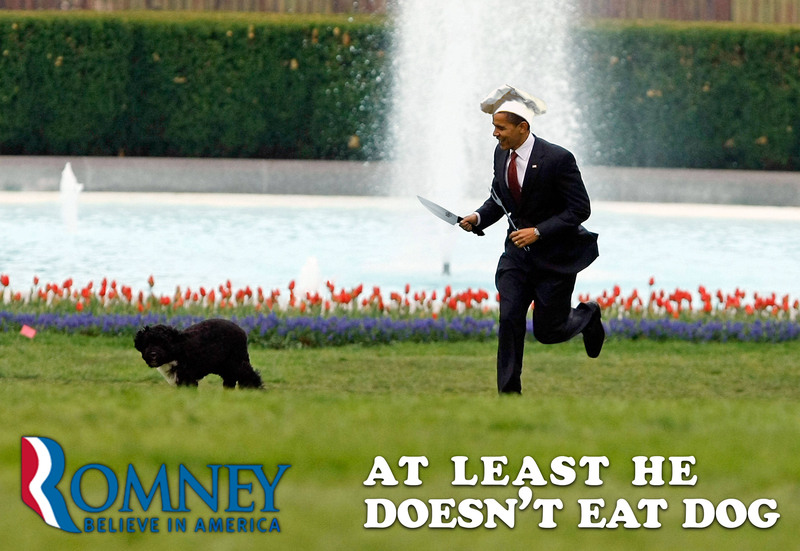 Romney did a very good job of keeping Obama on his toes the whole time. He brought up broken promises and his failures as president. Governor Romney answered pretty well on issues such as immigration reform, energy independence, the second amendment, and especially the last question about, basically, debunking misrepresentations of his character. That last one was one of his better answers. However, on a few of the questions, it seemed like he kind of walked around it and gave an answer that didn’t really address the actual question. For example, when asked what he would do with the illegal aliens that are hard-working, he just talked about immigration reform and was basically asked a second time to answer the actual question, which he then did very well. All in all I would say he had a solid debate overall though. Obama on the other hand was more like a… a bratty kid? Maybe a little more Biden-esque in the fact he was definitely more aggressive and interruptive. At one point he almost seemed pissed, you could see it in his face. The “altitude” really didn’t seem to affect him as much this time. I would have to say he did pretty well in his overall response to questions and staying engaged. Though he never seemed to answer any questions directly. It seemed that every answer was “Romney is a liar and here is why,” followed by an explanation that based in liberal talking points, it was just the same Obama talking points over and over again. He must have been studying those non-stop the past two weeks. I can hear Michelle now. “No intelligence meetings until you memorize those talking points backwards and forwards, and eat those brussel sprouts, now!” There’s not much else to say about his performance, just redistribution and republicans are evil. All in all I will say it was a little hard for me to determine a winner of the debate. Even though they both did fairly well. If I had to put money on it, I would say that Romney won by a slim to medium margin. However, according to FOX News, out of their focus groups Romney was definitely the winner by far. I don’t know, but if that is accurate with the undecided voters, then I say hallelujah! One other thing I wanted to bring up was the moderator, Candy Crowley. I think she was probably the best moderator this year, however I would say she was definitely trying to help Obama a couple of times. Not surprising the MSM will always do that. No matter how much they try to hide it just can’t portray a balanced, unbiased image. I just hope that this debate was enough to help boost Romney toward a sustainable lead. In case you missed it here is the debate in its entirety. Barack Obama receiving 'Nobel Peace Prize' for...? If the Stockholm County Administrative Board, which supervises foundations in Sweden’s capital, finds that prize founder Alfred Nobel’s will is not being honored, it has the authority to suspend award decisions going back three years – though that would be unlikely and unprecedented, said Mikael Wiman, a legal expert working for the county.